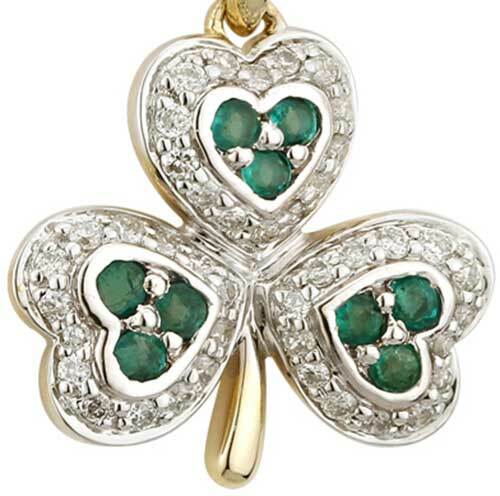 This 14K yellow gold shamrock necklace features 3 emeralds in each leaf for a total of 9 stones; the emeralds are surrounded with diamond studded white gold. There is just over 1/5th carat diamonds on the pendant measuring 0.21ct. total caret weight. 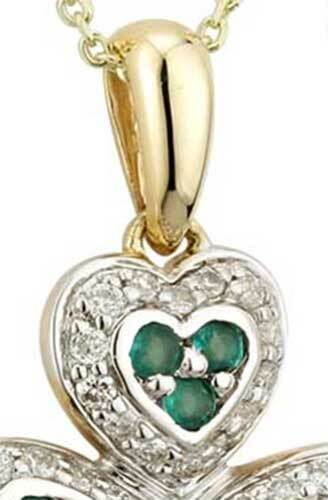 The emerald shamrock pendant measures 1/2” wide x 3/4" tall, including the jump ring and the chain bail, and it includes an 18” long 14K yellow gold chain. 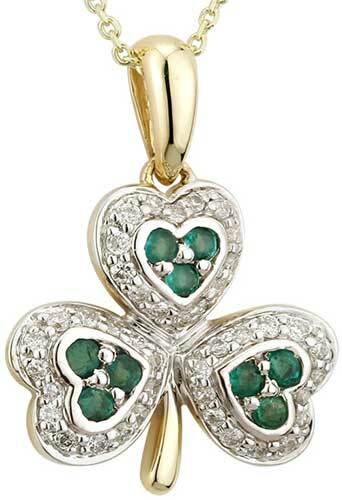 Shamrock necklace is a gold design that features an emerald along engraved white gold borders with diamond accenting.